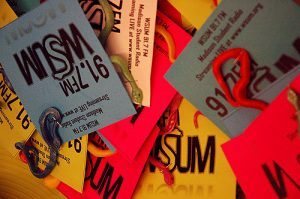 WSUM, a student run freeform radio station, is a popular campus organization. Believe it or not, you don’t need any prior radio experience to join! And it’s not just a place for music fanatics and Radio, TV, Film majors; it draws people from many different majors. You can have a music, talk, or sports show and the creative possibilities are endless! If you aren’t convinced already, here are some reasons to join. Community members are welcome to join too, so you can meet some cool older folks! 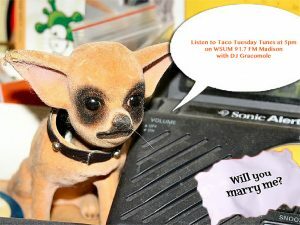 Review new albums for the station before they are even released and interview artists for the WSUM blog. What could be cooler than that? Score free tickets by writing a concert review. Not only is this a good way to get your writing published, but you can see your favorite bands while you’re at it! Produce promotional posters, website content, social media pages, and more for your show. This is a great way to learn digital marketing skills. Join fellow DJs for outings like a Madison Mallards game! Get involved with “Snake on the Lake,” WSUM’s own music festival! Have a fresh idea for a radio show? Sign up for a training session today!